A Wedgwood, dark blue jasper dip, tea plate. This piece is marked 'WEDGWOOD ENGLAND' and it dates from c.1900. There is also a single impressed letters 'A'. The border of the plate is decorated with a band of grapes and vine leaves. 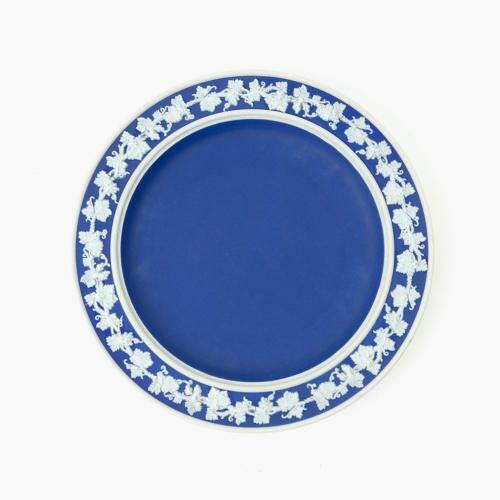 The jasper dip is a good, rich shade of blue and the plate is in excellent condition. Price includes postage within the U.K. Shipping to the U.S.A. add £15 Western Europe add £8.